Max Graham presents the next edition of his ‘Cycles’ series and round 4 sees the Canadian producer/DJ embark upon another musical voyage, moving to the frequency of today and tomorrow’s highlights. ‘Cycles Volume 4’ breaths the essence of Graham’s sound, bringing you an exclusive set of tracks and remixes, all mixed together. The Re*Brand label owner is always open to new influences, inspired by an upcoming genre or promising name, he has kept up with the many musical tides that move the electronic dance scene. With a follow-up to his ‘Radio’ artist album in the making and hot off the release of his ‘Still There’s You’ and ‘Down To Nothing’ singles, Max Graham gives his fans a two mix CD. 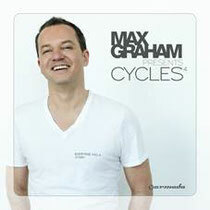 On ‘Cycles Vol.4’, Max shows the diversity-driven sound of his liking, but also pushes the tunes of many of the Re*Brand talents with a sound that lays amongst Track included come from Rory Gallagher, Tritonal, Matt Lange, Johan Malmgren, Solid Stone, Eximinds, Fon Leman, Alexey Sonar and many more. It’s out January 11 on Armada.